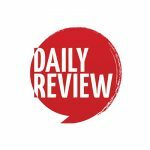 NSW Government to ban ticket scalping software | Daily Review: Film, stage and music reviews, interviews and more. While the Turnbull Government is yet to act on the ticket scalping software that allows resellers to buy up big blocks of tickets and gouge fans for sky-high prices, the NSW Government is proposing a crackdown on scalpers. NSW Fair Trading Minister Matt Kean has announced plans to reform the Fair Trading Act to outlaw the use of bots, which have been used to acquire tickets cheaply and resell them at extraordinary markups. Resale ticket prices have recently skyrocketed for high profile tours by artists such as Adele, Crowded House and Midnight Oil. Tickets to Crowded House’s recent Sydney Opera House forecourt concerts were advertised on resale sites for up to $1500, more than ten times the original $120-$130 ticket price, while some Adele tickets were being advertised for more than $5000. Ticketing bots have seen genuine fans locked out of online buying systems, and for some major events in Australia, bots have accounted for 30% of the web traffic to ticket-selling sites. In addition to banning the bots, Kean intends to prevent ticket resellers from selling tickets for more than the original price, and cap transaction fees at 10%. Queensland has similar anti-scalping measures, with fines of up to $2,438 for sellers and $609.50 for buyers when tickets are sold with a mark-up of more than 10%. In March this year, the Australian Senate passed a motion put forward by Independent Senator Nick Xenophon, intending to introduce new laws making the use of bots illegal. The motion did not have the support of the Government, but was backed by Labor, the Greens, Jacqui Lambie and Derryn Hinch. Soon after, Live Performance Australia called on the Federal Government to legislate against bots, and join the US and UK governments, which have both outlawed their use in the last year. Is there any evidence that actually prove BOT use in Australia actually happens? I mean its rather easy to blame these so called ‘bots’ for missing out on tickets to an event (ignoring the fact that 100k people want to go see a concert at a venue that holds 10k people) but where is the evidence? Ticketek and Ticketmaster have never provided any proof, neither has any government, that this actually takes place in Australia. How about promoters actually say how many tickets are allocated to their corporate mates, pre-sales, sponsors etc rather than blaming everything on people simply reselling a ticket? While I think bot technology contributes to the problem in Australia, like you’ve mentioned, tackling the issue on a deeper level involves transparency from promoters and primary ticket sellers. A lot of the blame is being heaped on the latter, particularly Ticketmaster with its resale site. While it would be great to have legislation preventing tickets to be sold beyond a 10% markup, it’s also really important that primary ticket sellers actively reach out to fight the problem. Like you’ve said, transparency is SO important, and I think more positive dialogue (rather than vitriol) with primary ticket sellers to encourage this and other measures would go a long way. Software code is a form of speech, possibly even an art form, and so I don’t think software like bots should be banned. Ticketek should restructure their system so that it can not be taken advantage of by bots.